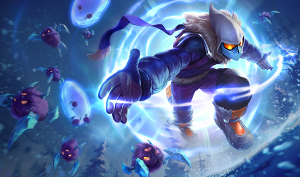 Ever since Malzahar support stepped into the spotlight, players are yearning to figure out the best combo to pick with him. So far, it looks like Caitlyn, Ziggs and Twitch are sporting the highest win rates with Malzahar support, but come on, those are god tier marksmen that would succeed no matter who their support was. Meanwhile, let's check out an old favorite and amazing synergizer with Malzahar's kit, Jhin the Virtuoso! Meanwhile, let's check out an old favorite with amazing synergies with Malzahar's kit, Jhin the Virtuoso! Malzahar's damage level 2 with his voidlings and malefic visions is bad enough. However, if you combine it with Jhin's 0.75 second Deadly Flourish, it's just enough time to spawn a few extra voidlings and really take over the lane if not net a quick kill. Jhin's incredibly long range ultimate fused with Malzahar's 2.5 second suppression equates to a post 6 duo that can engage at will (providing Jhin lands at least one of his ultimate shots). This means that the enemy team is under constant threat of being 100 to 0'd, even when there are no champions on the map. Known as the king of turnaround plays, Jhin is known for his ability to 100 to 0 enemy champions with only a sliver of health. 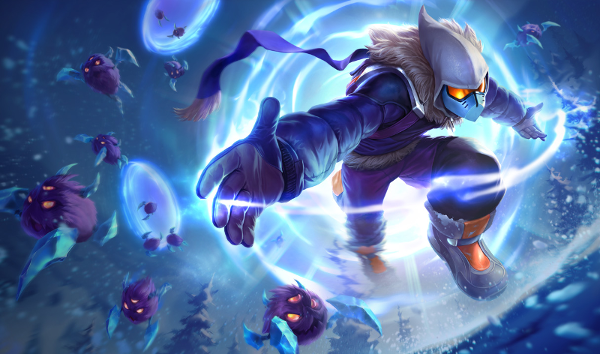 However, Malzahar's burst damage is any slouch in that category and can also deal massive amounts of damage kiting with his dot and voidlings. Once Malzahar picks up Rylai's, chasing this pair can quickly lead to terrible endings. Getting level 2 has never been easier when it comes to pushing lane with Jhin + Malzahar, and few lanes can potentially out-clear this duo. Even if the enemy team is pushing, Malzahar's voidlings are so strong that they can zone out the majority of supports at level one. This duo lane is incredibly strong as it scales through the game. However, playing cautiously and making sure they don't get a cheesy level 2 play off is crucial for surviving. If Malzahar is on top of you and Jhin's snare is about to hit, make sure you flash out before taking massive Voidling damage and/or dying. What do you think about this combo? Comment below!